Swift as a storm wind, you and the rest of the cavalry swoop onto the battlefield, bringing doom to your enemies. 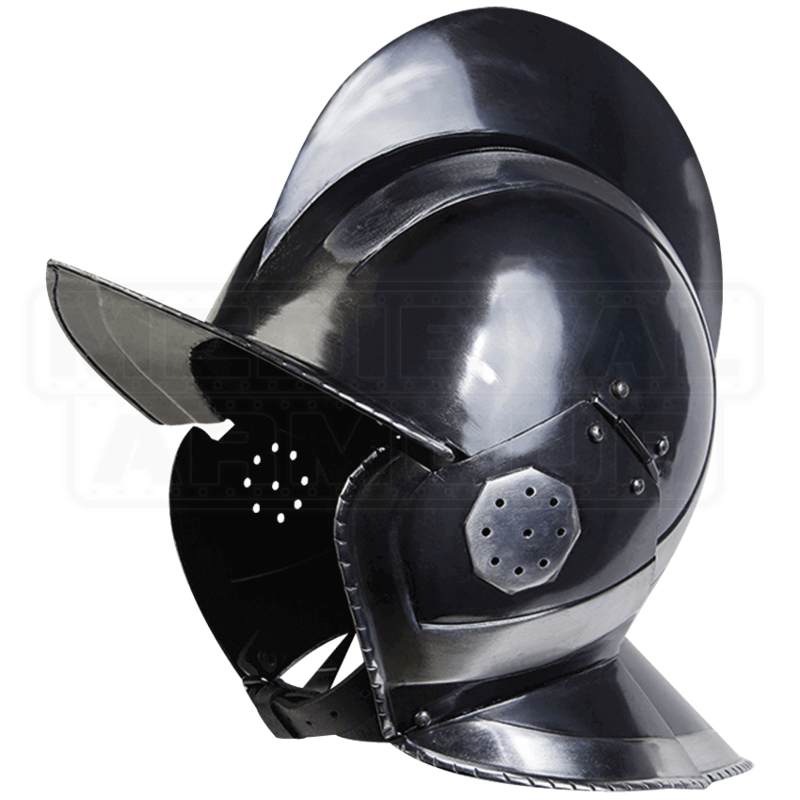 Protected by the Kaspar Blackened Helmet, handcrafted from steel, you charge towards the fray, certain of your victory. Hinged cheek flaps, complete with small punched holes for hearing, closely guard the sides of the face. An adjustable leather buckled strap attached to the cheek pieces secures the burgonet helmet under the chin, and, in the back, a slight extension shields the back of the neck. Mostly blackened by an electrochemical treatment that protects the steel helmet from rust, certain sections of unblackened steel embellish edges in dynamic contrast against the black. 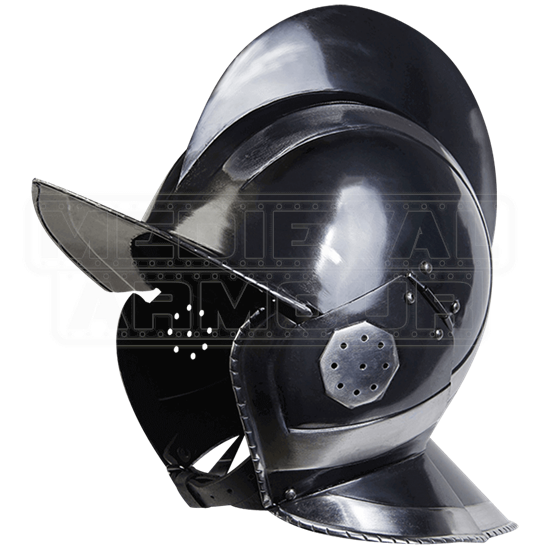 Worn over a padded arming cap for safety and comfort, wear the Kaspar Blackened Helmet for a remarkably sleek and sinister soldier look at your next LARP event or other occasion that calls for a historically-inspired armour costume.